Introducing our second Ethereum and Tron(TRX) BlockChain game right in your browser. 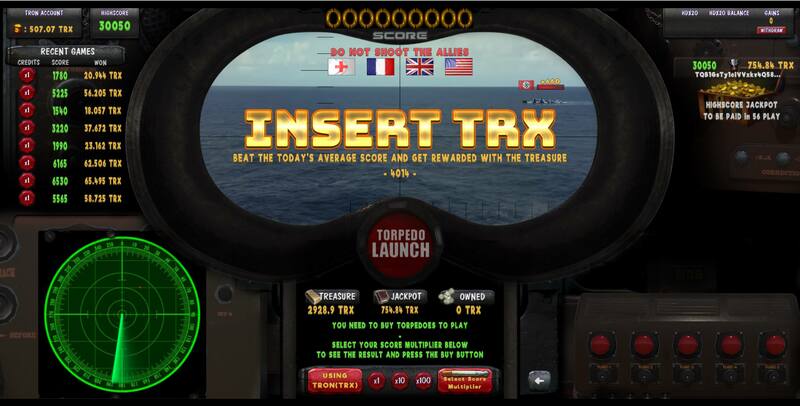 Introducing “TORPEDO LAUNCH” the first skill-based Submarine Arcade Game on the Ethereum and Tron(TRX) blockchain powered by the HDX20 Token. Come and play against other players, show the world that you deserve to be a winner and collect Ethereum and Tron(TRX) Prizes. 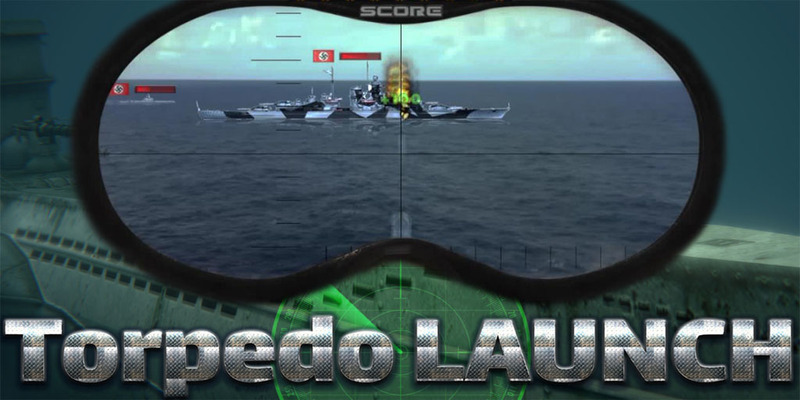 Buy a batch of 15 torpedoes and try to score as much as possible by sinking ships and submarines. Your Break-even point is at the moving average score of all players. If your score is over the moving average, you are receiving your credits back plus a part of the current treasure proportionally to your score. If your score is lower than the moving average, you are receiving a part of your credits also proportionally to your score. At every play, the best score is registered also for the HIGHSCORE JACKPOT PAYOUT which is paid every 100 play. 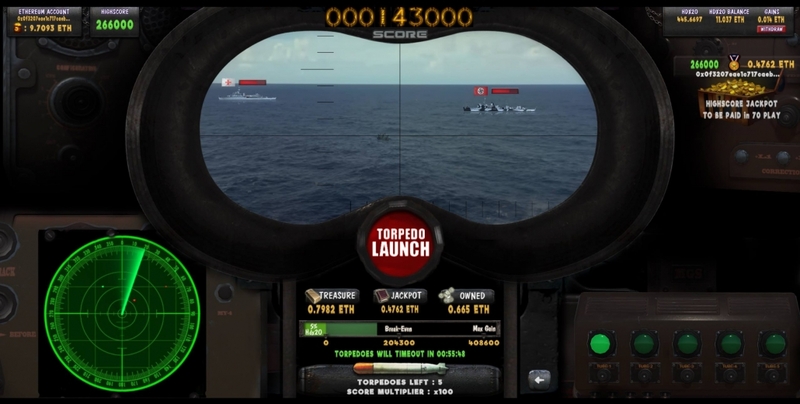 In addition, every time you buy new torpedoes, 5% of the price will buy you HDX20 Token you can resell anytime, earning you Ethereum (or TRON TRX) from the volume of any HDX20 POWERED GAMES as long as you hold them. Play for the JACKPOT, Play for the TREASURE, Play for staking HDX20 TOKEN or Play for all at once…Your Choice! .5% credited to player as HDX20 token. .64% of losing credits to the running TREASURE. .16% of losing credits to the running JACKPOT. 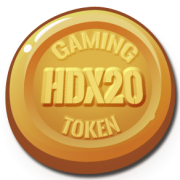 .15% of losing credits to the community of HDX20 gamers/holders distributed as HDX20 price appreciation. .5% of losing credits to developer for running, developing and expanding the platform.